It can also be said that nothing of value is gained without a price. There are cost savings to be realized by migrating workloads from legacy systems to cloud services, but the only way to maximize the cloud’s financial benefits is to do the hard work of analyzing and comparing costs per workload when running on-premises and when relocated to a public or managed private cloud. It’s also critical that I&O prepare for inevitable cloud-sprawl by designing for a unified and end-to-end view of cloud operations. Cost optimization is available from companies like Cloud Health and Cloudability but it’s only a small piece of the puzzle and is quickly becoming a feature of broader CloudOps and DevOps conversations. 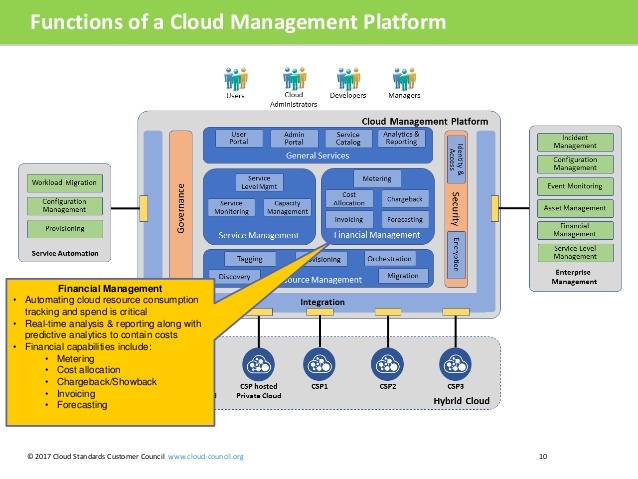 An end-to-end view of hybrid cloud management should extend to processes such as container and config management as well as the full range of policies, governance, security and day 2 operations required to keep the CEO, CIO, and Cloud users on the same page. These tips will help you collect and accurately analyze the cost-accounting information you need to ensure you reap the most savings possible from your multi-cloud strategy. 1. Make sure your cloud service offers easy-to-use tools that let you track costs in real time. Sometimes, the ability to spin up multiple test environments simultaneously can go to a developer’s head. Before you know it, the CIO is left with a monthly bill for cloud services that far exceeds the budgeted amount. One of the cost-control tips Venkat Etikyala offers to CIOs in his November 30, 2017, article on Data Center Knowledge is to insist on first-rate usage-tracking tools from cloud vendors. These tools give customers real-time, contextual views of the cloud’s unpredictable operational elasticity. This can be particularly challenging yet even more important in multi-cloud environments, which are most susceptible to out-of-policy spending and potential unused or under-used virtual machines. The analytics and guidance capabilities such as those from Morpheus gives leaders a standardized way to right legacy on-prem environments and multiple external clouds. 2. Adopt multi-cloud to prevent unexpected price increases. In a December 5, 2017, follow-up on Data Center Knowledge, Etikyala highlights a primary benefit of a multi-cloud architecture: it serves as insurance against unanticipated vendor price hikes. Differences in the methods used by cloud services to build their platforms and devise their policies and services make migrating between cloud providers costly and time-consuming. Etikyala recommends signing on with a second cloud service to provide redundancy for both your data center and primary cloud service. The second provider also serves as a platform for any apps and systems that are not well suited to your main cloud service’s infrastructure. The key for CIOs is to take advantage multi-cloud’s flexibility and security, but in a way that doesn’t blow up their cloud budgets. It’s critical however when deploying a multi-cloud strategy that you standardize as many processes as possible to avoid disruption when it comes time to migrate. This points to the adoption of agnostic third-party tools such as Morpheus rather than the native tools of a single public cloud provider. 3. Don’t spend money on cloud capacity you don’t need. Everybody knows managing cloud services is different from running an in-house data center. An all-too-common trap organizations fall into is duplicating the excess capacity of their on-premises servers when they migrate their workloads to the cloud. Business Insider’s Becky Peterson reports in a December 1, 2017, article on work conducted by Stanford researcher Dr. Jonathan Koomey relating to cloud cost efficiencies. According to Koomey’s research, four out of five in-house data centers have “way more server capacity than is necessary,” and the overspending is repeated when the companies migrate their workloads to cloud services. Koomey found that firms are paying an average of 36 percent more for cloud resources than they need to. Koomey uses Gartner’s projection that $173 billion will be spent in 2018 on data storage to conclude potential savings globally from optimizing workloads could total $62 billion for the year. Rightsizing of application instances has become a critical part of any cloud management tool and should go beyond basic VM management. For example, the ability to see up the stack and control for things like power schedules can assure you are only paying for compute capacity when it’s being used. 4. Qualify your applications to balance workloads before you quantify cloud benefits. Financial data analysis firm FICO relies on sophisticated cost modeling to determine which workloads are best suited to public and private clouds. Jeffrey Burt writes in a December 5, 2017, article on the Next Platform that the modeling encompasses the resources required to send a workload out, test it, and run it. 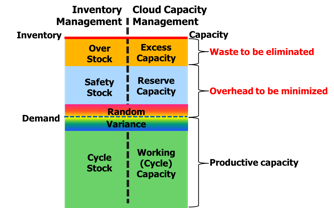 Also factored into the model are how frequently the resource is accessed, its availability requirements and redundancy needs, and disaster recovery. FICO CIO Claus Moldt says that when conducting public and private cloud cost comparisons, the biggest mistake companies make is failing to represent all in-house costs in the calculation. Burt quotes Moldt as saying “You cannot use a lift-and-shift… you’re going to get your math wrong.” The result is that it appears to be less expensive than it actually is to run workloads in-house — on legacy systems or private clouds — compared to the cost of migrating them to the public cloud. 1. You have analyzed your complete software portfolio to identify those apps that matter the most. 2. You have quantified your applications based on how important they are to achieve business goals. 3. You have devised a roadmap that encompasses all your objectives. 4. You have monitored cloud performance over time and confirmed that your app-migration program has resulted in maximum benefit to the organization. 5. Save time and money by relocating your test environment to the cloud. It’s no mystery why the first foray into cloud services for many companies is their application-testing environment. Dalibor Siroky writes in a December 17, 2017, article on WebSphere Journal that app testing is by nature fast and temporary. Cloud-based testing can accomplish in minutes what would take hours or days to complete in-house. The two requirements for a successful cloud test environment are automated infrastructure and automated acceptance testing. When automation is implemented correctly, the resulting cost savings and agility “will more than pay for the cost of both automation initiatives,” according to Siroky. When you remove manual testing, the test environment exists only as long as it takes to run the full test suite. In the continuous deployment pipeline, testing is treated as “just another step in the build pipeline.” Test environments can spin up and spin down on demand, and the process of setting up the test data is fully automated. QA environments are created only when they are needed and are part of the continuous deployment pipeline rather than standalone entities. Instead of spending $1000 or more per month for a separate QA environment, you pay about $12 per test suite execution during “busy development weeks,” and run a regression test twice a day. From cost optimization to governance to automation and app modernization the team at Morpheus is working hard to help enterprise customers reduce tool sprawl and accelerate their digital transformation in the most efficient way possible. Let us know if you’d like to have a discussion or schedule a demo to learn more.